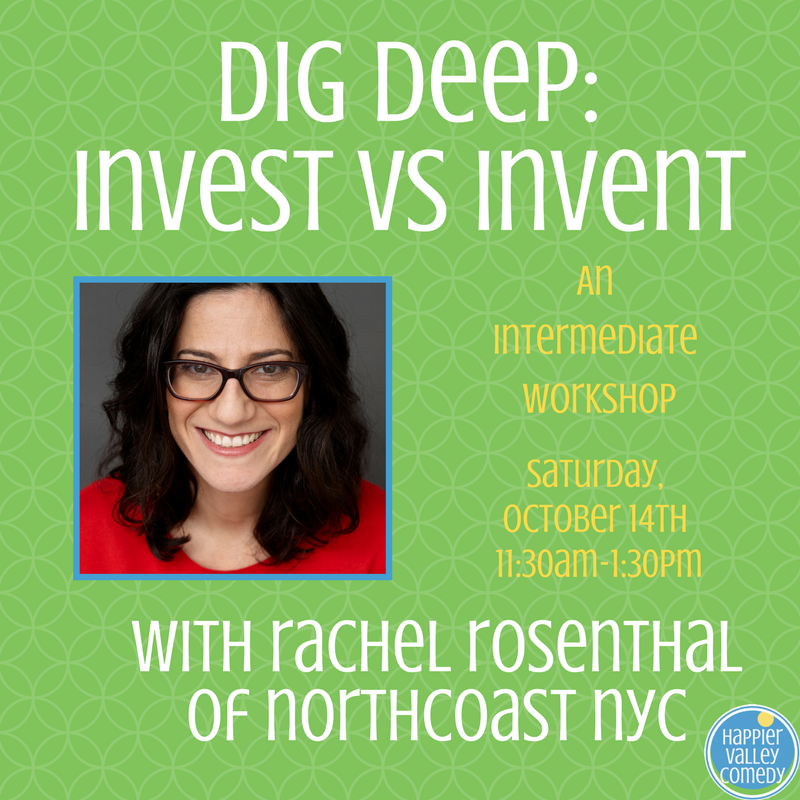 WAITLIST For Dig Deep: Invest Vs. Invent! With Rachel Rosenthal of North Coast NYC! Stop thinking so much in your scene and start discovering. Dig Deep offers students the skills and techniques necessary to play from a place of inspiration instead of from "in your head." By digging into the very first moment of the scene, we will extract in-depth characters and genuine reactions from our relationships - helping us to listen to ourselves as well as to our scene partner. Rather than making choices consciously, you will find them naturally. Instead of pushing the game of a scene, we will find it inherently. And it will be hilarious. PRE-REQUISITE: Zen of Improv 2 or equivalent at another comedy school. About your teacher: Rachel Rosenthal is comedian and improviser with over 15 years of experience. She is also a free-style rapper. In addition to touring and performing w/ Hip Hop improv team, North Coast, she can be seen performing weekly at Reckless Theatre with House team, Nemesis, or around the country with international touring company, Big Bang. Rachel is also an award-winning improv instructor who has worked with The Peoples Improv Theater (2014 Teacher Of The Year), Miami Ad School, Reckless Theatre and at various theaters around the country.